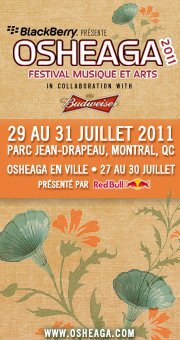 One of the biggest Canadian music festivals in Montreal, Osheage, announced this year's lineup last night. The festival will take place from July 29th to July 31st. The ticket will be available from April 15th, at noon. More information, check out their official website. Bryen, our crew and I are all heading there to check out this amazing festival. Stay tuned with our coverage on the fefe!